« Voodoo Dogs have that Black Magic! CLOSED: Angelette’s has my heart! CLOSED… One more on a list of great places to eat in Tallahassee that are no more. I should have written this review a year ago… Angelette’s in my favorite Cajun/Creole place in town. Their hours are funky and I frequently drive over for lunch only to find them closed. The only thing that could make them better is if they were more centrality located. But trust me they are worth the drive. Angelette cooks the basics very well- Red Beans and Rice taste the way they should. Shrimp and Grits may be the best in town. But its breakfast food that forces me to drive to the South Side of town. Starting with Beignts they are fresh, hot and not too oily. 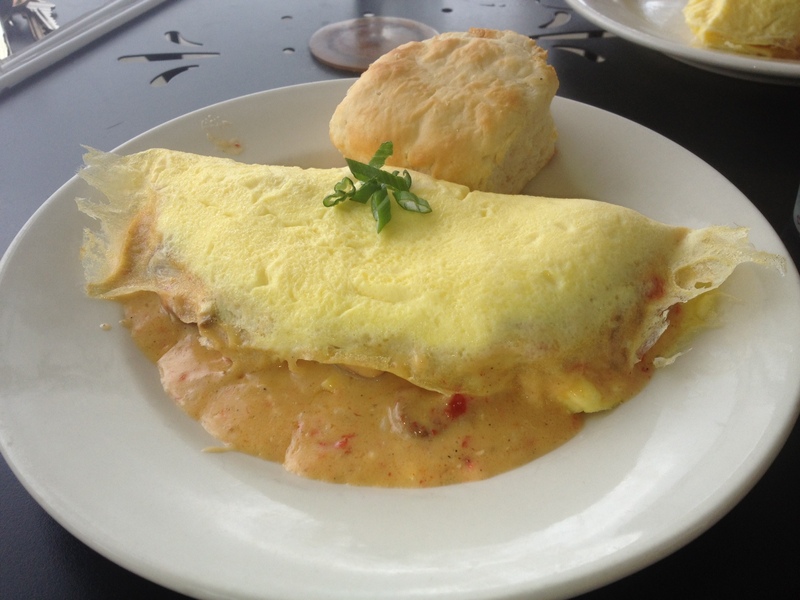 Then my Favorite – The Andouille and Crawfish Omlette covered in a spicy cream sauce. Just perfect- and if you get a biscut ask for some of their home made jam! They even have Banannas Foster French Toast.. Oh my. If you go be sure to try and Abita Real Brewed RootBeer on Draft! AND TUESDAY AND THURSDAY DINNERS! Cost: $10 bucks will feed you! 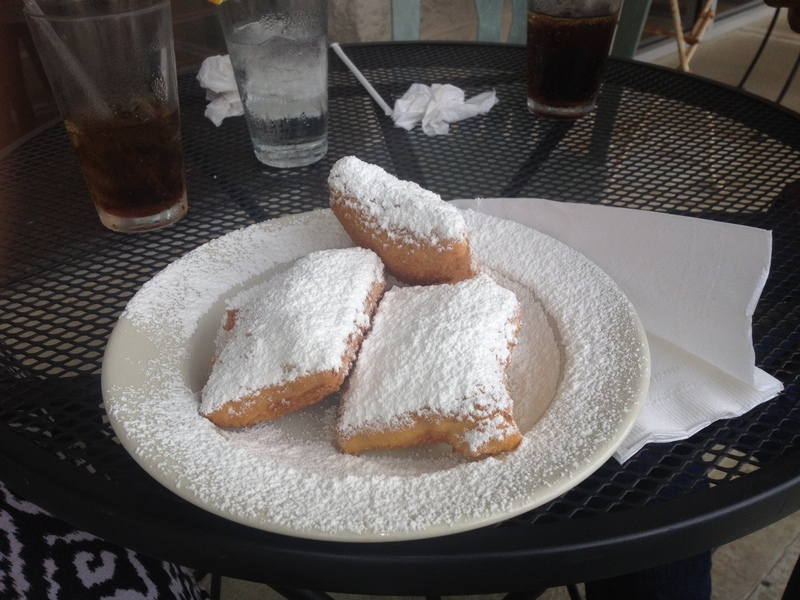 on March 14, 2012 at 6:03 pm | Reply LuAnn C.
Great review, also love Angelette’s! Another absolutely wonderful breakfast is Eggs ala Duane – eggs with grit cakes topped with andouille sausage and crawfish cream gravy. Ask for extra gravy on the side to eat with your grilled french bread – yummy! And their soups & sandwiches are good, especially with a side of zucchini fries and remoulade sauce. FYI, they’re open until 2:30pm, and also Tuesday nights for gumbo and Thursday nights for specials – check out their Facebook page for updates. Hey y’all! Just found your blog! Are you taking a break? It’d be great to see some new posts! My wife and I have been eating a Angelette’s for a couple of years. Recently we both noticed (on the last few visits) that the dishes we like; Shrimp Creole and Crawfish & Andouille Sausage Omelet both had less shrimp and crawfish in them. In fact I could only find a few very small pieces of crawfish in the omelet, I guess a good thing cant go on forever. Too bad.